Developed by Francois Sudre in the first half of the nineteenth century, Solresol is an example of an international auxiliary language: a planned, deliberately simplified language created in order to make worldwide communication easier. Solresol was the first such language to gain any recognition, but what really made it unique is its musical basis: it contains a total of only seven syllables, made up of the names of the musical scale (do re mi fa so la si). This arrangement meant that words could be written in musical notation, and that the language could be communicated by singing. Syllables could be expressed in seven colors and easily ‘read’ by the illiterate. Unfortunately, Solresol never really took off, although some devoted fans remain today. Quenya was one of at least twenty invented languages used by JRR Tolkien in his Lord of the Rings trilogy. A ceremonial Elvish tongue, it’s the most elaborate of all of Tolkien’s languages. In fact, Middle Earth was invented for Quenya and not vice versa: Tolkien began to write his stories in order to provide his language with a rich historical background. According to Tolkien, Quenya was his attempt to create the most beautiful language imaginable, and the sounds and grammar were taken mostly from the real Earth languages that he thought were the most beautiful: Finnish, Latin and Greek. According to the Sapir-Whorf hypothesis, a person’s thoughts and perceptions can be shaped by the language he speaks. The Toki Pona language is an attempt, based on this theory, to simplify life by using an extremely simplified language. 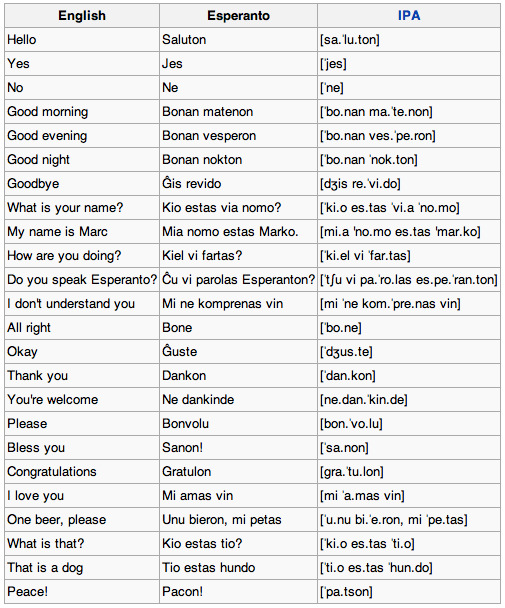 Toki Pona has only 123 words, which can be combined to make more ‘complex’ words. So, ‘happy’ in Toki Pona is ‘feel good’, alcohol is ‘crazy water’ and geology is ‘earth knowledge’. Although it’s easy to learn, the language has some obvious difficulties expressing nuances of meaning. Lingua Ignota was the first known human-made language, created by German abbess Hildegard of Bingen in the 12th Century. The name means ‘unknown tongue’, and it was probably used as a secret language by Hildegard and her fellow nuns, although its exact purpose remains unclear. Hildegard was an accomplished composer, and words from the language were often used in her musical compositions. She left behind a glossary of only around 1000 words, most of which were religious or medical terms. A professor of linguistics, Dr. Suzette Haden, created Laadan as another test of the Sapir-Whorf hypothesis: in this case, to test the idea that human languages are not adequate for female expression. Laadan is designed to allow people to express things in words which in English can only be conveyed by body language or tone. So, for example, a sentence might contain a special word that indicates that the whole sentence is meant to be a warning. Newspeak was created by George Orwell for his novel 1984. The book’s totalitarian was in the process of replacing English with Newspeak, intending to eventually wipe out English altogether. Newspeak’s purpose was to ‘narrow the range of thought’: for example, it did not contain the words free or freedom, so the idea of freedom became literally unthinkable. Rather than creating new words, the government aimed to destroy them. Several words from Newspeak like doublethink and ungood have been picked up into English, where they’re usually used to make a point about something that’s considered totalitarian in nature. This language appeared in the 16th century in a series of books by astrologer John Dee and seer Edward Kelley. According to Dee, it was the language used by God to create the world, which had gradually ‘devolved’ over time to become the Biblical Hebrew of the Old Testament. Luckily for them, this language was taught to Dee and Kelley by angels. Enochian also came with an alphabet, which Dee and Kelley used to write their books detailing magical practices. Modern skeptics have since pointed out that Enochian has far more in common grammatically with English than any form of Hebrew. Still, the language became popular again in the 20th century, and it’s still used by some occultists today. Another language constructed to make a philosophical point, E-Prime is simply a version of English that forbids all forms of the verb ‘to be’ (is, was, were, etc). According to Alfred Korzybski, who promoted the language in his 1933 book Science and Sanity, E-Prime can be used to sharpen critical thinking and make ideas clearer. For example, in E-prime a person can’t say ‘This is an awful movie’: it must be rephrased as ‘I dislike this movie.’ ‘You’re wrong’ is also impossible: instead he must say ‘I disagree with you.’ Because of this, it’s easier for speakers and listeners distinguish fact from opinion. On the other hand, following E-Prime to the letter becomes burdensome: ‘This is a flower’ must become something like ‘English speakers call this a flower.’ Today, E-Prime remains popular, but mostly just as an interesting thought exercise to improve clarity. Esperanto is the most successful international auxiliary language to date, with up to two million speakers worldwide. It was invented in the late 19th century by a Polish doctor, Ludovik Zamenhof, who wanted to end interethnic conflict by providing everyone with a common tongue. Zamenhof’s aim was a language that was simple to learn and politically neutral. Esperanto gained in popularity after World War I, but it was suppressed in Poland during World War II, and many associations that promoted it, including the League of Nations, did not survive the war. Today, the closest thing we have to the ‘international language’ dreamed of by Zamenhof is the very non-simple, non-neutral English. Despite these challenges, a small amount of dedicated speakers worldwide are able to communicate fluently in Klingon, and there have even been several Klingon translations of Shakespeare plays. This sentence makes no sense. All human-spoken language is human-made. And human language predates the 12 century by a great deal. “Made” implies conscious construction, rather than cross-generational evolution. Maybe it does to you but I still think it’s a badly written sentence. I get that the author means that Lingua Ignota was consciously designed by one person, but ‘made’ can be used to mean unconscious acts as well, e.g. ‘I made a mistake’ or ‘the dog made a mess of the garden’. It’s no big deal, I just find badly-phrased sentences in an article about invented languages kind of ironic. That’s why he specified “human”-made not just “made”. It is the first known deliberately constructed language, as opposed to natural languages which form and change by the population at large. There’s a whole bunch of hobbyists on the internet constructing more or less naturalistic languages, actually: http://cals.conlang.org is kind of a yellow-pages site. How, oh how, did the author overlook Loglan/Lojban!? Because Lojban is easy to overlook. I am more concerned with the fact that Klingon is on this list whatsoever. 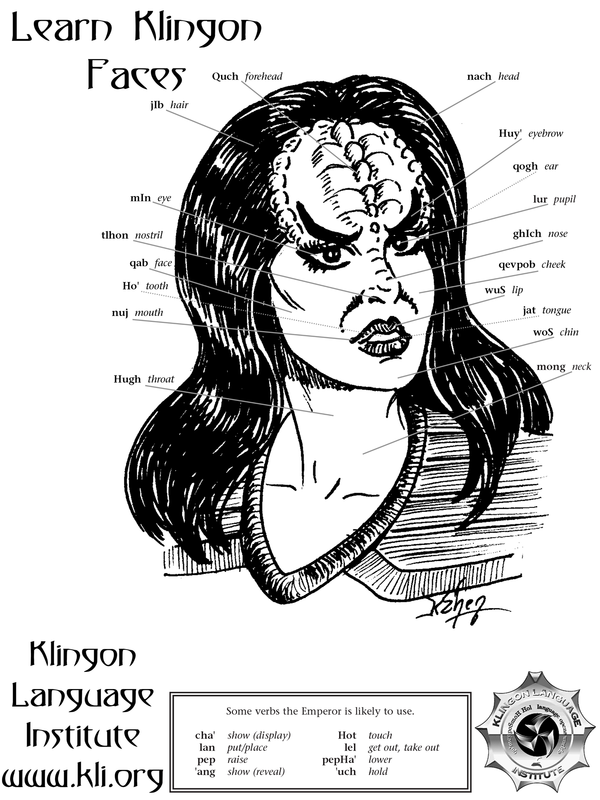 Klingon, whilst a fairly stable language in itself, is little more than an elaborate cipher. Loglan/Lojban is the product of over fifty years of work by dozens of professionals. No other conlang compares to it. That the author overlooked it would suggest a shallow degree of research into the subject. Hangul is not a language. I’ve enjoyed trying to think or write in E-Prime since I heard Dr. David Bourland speak it during a radio interview. I was impressed with the richness of his simple sentences. He seemed to convey more meaning with fewer words, and I didn’t notice the lack of “to be” until he pointed it out. “This is a flower” has a few easy-to-use alternatives, such as “I have a flower,” or, “Look at my flower.” However, E-Prime plays havoc with verb conjugation. I never did find an easy way to say, “It’s raining.” “It rains,” or, “The clouds are raining” sound too awkward. Does “Rain now falls” sound too stilted? How about “I see rain”? I’ve yet to find a comfortable, natural-sounding equivalent, though your suggestions come as close as any. Thankfully, rain rarely comes up in my technical writing! How about asking the equivalent of “is it raining?” Yuck! “Does it rain now?” “Do we have rain at the moment?” I can’t think of any good alternatives. At least, I enjoy the mental exercise. I couldn’t follow the rules in real life, nor do I try. Still, E-Prime helps me think more clearly at times, given the extra effort. You also said, “I was impressed.” It’s a hard verb to obliterate! Sindarin should probably be mentioned alongside Quenya; I run into more people learning Sindarin than I do Quenya speakers. In “Harry Potter Deathly Hallows part 2” there was a short part spoken in Parseltongue! Umm… did you not see number 9 from the list? So… No one’s going to address No. 6? Really? Guess it’s up to me then.. I can’t begin to describe how massively retarded this old hag is, the fact the she’s crossing her fingers in zen-like philosophical repose, whilst claiming some feminist BS about the essence of communication, makes me want to back hand her silly face. The fact it’s called ‘Laagan’ is equally as retarded. Is there any reason for it? Or, more likely, did she just use the same ‘on the rag’ method of thinking to come up with the language’s name as she did for her crackpot hypothesis? The name of the language is actually ‘Laadan’, and not ‘Laagan’. Hopefully, Laadan is far less offensive to you than Laagan, for whatever inexplicable reason. Actually I don’t think you know what you are writing about. You can’t even read the name “Laadan” correctly, so what could you possibly know about it? Yeah, right, nothing. Come back when you have learned some basics about linguistics. Or something at all. Back to school with you. The Dothraki language was constructed by David J. Peterson for HBO’s Game of Thrones. ah. Newspeak isn’t a conlang; it’s just an idea for a relex of English. And E-Prime is just a style of discourse. The list misses Volapük and Lojban. Hey, have you known ALAY or 4L4Y?! Actually there is another invented language that I speak and it is called double talk.double talk I don’t know where came from but I do know that part of my family can speak it. And if I want to say something private to my mom or something I can just talk in double talk and my BFFS will not know…lol??? ?